F. Scott Fitzgerald’s second novel centers around Anthony Patch and his beautiful wife Gloria. Inspired by Scott and Zelda themselves, this couple live wildly in 1920s New York, seeking pleasure at any cost. Happy Sunday lovelies! We’ve got something a little special going on over here this weekend. One of my good blogging friends, Elena of Books and Reviews, had the brilliant idea of writing a pair of crossover posts for my Jazz Age January reading challenge and her Feminist Sundays feature. We each wrote a post about feminists and feminism of the 1920s, and I’m thrilled to be hosting her post about Zelda Fitzgerald. You can find my post, about how women’s social roles changed in the ’20s, over on her blog! Hi! I’m Elena from Books and Reviews and today I’m honoured to be mixing up my Feminist Sundays theme with Leah and her Jazz Age January. Zelda Fitzgerald is one of the most underrated and controversial women in the Jazz Age. She is usually referred to as “Scott Fitzgerald’s wife”, but Zelda was much more than that. In this post, I hope to humanise Zelda and explore her life and talent beyond her image as Fitzgerald’s wife. Zelda was born Zelda Sayre in Montgomery, Alabama, in June 1900. She was the younger daughter of a well-known and respected family: her father was a judge and her mother a Southern Belle. Zelda grew up being one of Montgomery’s most beautiful and artistic girls, known for her dancing and her active life. She met Scott Fitzgerald when she was 18 and he, a soldier, had camped in Montgomery. He was 4 years her senior and her family did not approve of the relationship, as they saw it would get Zelda out of the conventional and traditional Southern and Baptist lifestyle they had in mind for her. But Zelda wanted more. They started a relationship that would be interrupted when he was sent north, thinking that he would be sent to fight in France. Eventually, he remained in the United States and the two resumed their relationship, with Scott sending her mother’s ring to Zelda in 1920. Meanwhile, Scott had been working on his first novel, This Side of Paradise (1920), and when it was finally published he returned to Montgomery to pick the prize he thought Zelda was. These early stages of their relationship show what many think Zelda was: a manipulative, ambitious young girl who would only be with Scott if he were successful. But, taking into account the kind of life Zelda was accustomed to, and her education, she was probably trying to secure a life of herself via the only way women had at that time: marriage. They both moved north and married and Scott continued writing while they both became superstars. There is a famous episode of Zelda dancing on a fountain in New York and, gossip columns of the time show that she was a young woman enjoying herself in the Big City. However, it was during these first years of their marriage that they set a dynamic it would last for her whole life: Scott was the writer, the great writer, and Zelda was his wife and mother to their daughter. There is also a widespread idea that Zelda’s mental health made it even more difficult to Scott to be successful and she was blamed for a long time for Scott’s lack of “another Gatsby”. But, a more thoughtful look into Zelda’s life explains a lot. She had grown in a town where everyone knew and respected her family, and she was also the younger of the Sayre children, so she had enjoyed more freedom than customary allowed. She was also an artistic and active woman and when all the partying started to wear her down, she found herself with nothing to do. Scott’s alcoholism did not help either, and their expensive lifestyle soon forced them to take new measures. So, Zelda put her talent to work and she started writing. The problem was, her stories came out under her husband’s name because they would earn twice as much than if they were published under hers. Again, Zelda felt victim to his husband’s success and society’s patriarchal norms. Meanwhile, she had been portrayed during this period of her life as a selfish woman who urged her husband to earn more money she could spend. Take, for example, the famous fur coat she got when they were short of money. Many say she pressured Scott into buying it for her, but recent research into Zelda shows that it may have been the other way round. Finally, Zelda started to suffer from mental disease derived from the golden jail her life was. She wanted to dance again, so, while in Paris, she attended as many lessons as she could until her body gave up. She was no longer the young, athletic Montgomery teen she had been before giving her life up for Scott and their marriage. So, she became frustrated and started to suffer from anxiety and obsessive behaviour. From this moment on, her mental health deteriorated and this is how Zelda has survived in the collective imaginary. While I am a huge Woody Allen fan and the scene brought tears of laughter to my eyes, Zelda is portrayed in Midnight in Paris (2011) as a crazy young lady who is offered a Valium by the film’s main character after trying to throw herself to the Seine. She mumbles, during the scene, that her husband loves another women and, taking into account Scott’s infidelities, she was probably right. So, taking into account Zelda’s artistic ambitions, her real talent and the fact that both her husband and society did not expect her to fulfil herself artistically, it is no wonder she started to suffer from mental problems. Who wouldn’t? As Esther in Sylvia Plath’s The Bell Jar (1963) suffers when she is torn between what she wants and what society expects from her, Zelda was torn between her artistic drive and what the rest of the world thought she should do: be a content wife and a mother. She was not crazy and she was not a burden to her husband, she was just a human being with no liberty or freedom to define herself and lead a significant life. She actually wrote a novel, Save Me the Waltz (1932), a semi auto-biographical account of her life with Scott and a controversial novel due to the similarities with her husband’s Tender is the Night (1934). However, Zelda’s has been usually disregarded and known as plagiarised version of Scott’s. But, taking into account both works are based on their life together, it is no wonder there are similarities. “Zelda wasn’t crazy” (The Huffington Post) by Heather Laine Talley and Vali Forrister. Huge thanks to Leah for letting me a guest on her wonderful blog! Isn’t she amazing? Hello guys and dolls! I hope you’ve been keeping warm with some bathtub gin — and tasty books, of course — this very cold week. 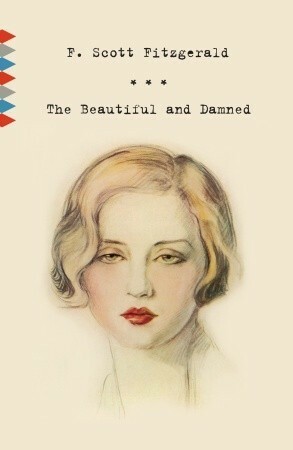 Since last week’s post, I’ve been slowly reading Zelda, Nancy Milford’s biography of Zelda Fitzgerald. The text in my copy of the book is REALLY tiny, and I can’t read it for very long periods of time, so I’m taking my time and reading a few other books, as well. I can’t seem to settle on anything this week! 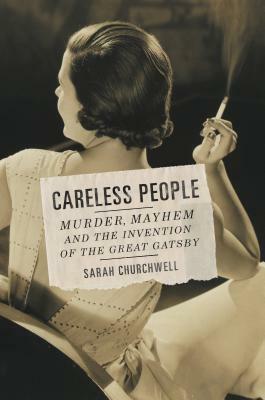 I’m still very behind on my reviews, but this week I wrote about Careless People: Murder, Mayhem, and the Invention of The Great Gatsby by Sarah Churchwell. It’s a fascinating biography of The Great Gatsby and a brilliant portrait of 1920s New York. Celebrating Two Years of Books Speak Volumes! Hello lovelies! I’m excited to announce that Books Speak Volumes is two years old today! In 1922, Fitzgerald was 26, returning to New York for the publication of Tales of the Jazz Age. Already a wildly successful writer, he and his vivacious wife Zelda soon became absorbed in the glamorous lifestyle of jazz age NY. Prohibition meant that booze was flowing more freely than ever before, reckless drivers were killing people right and left, and a slate of murders became media sensations. Churchwell founds her book on the premise that Fitzgerald was greatly influenced by one particular murder: a grisly double murder in New Jersey that became a media sensation. A man and a woman (both of whom were married to other people) were found dead, their bodies arranged symbolically, in an area known for night-time rendezvous. The police investigation and subsequent trial were total farces, and the case, proclaimed the “crime of the decade” dominated newspaper headlines in 1922. Although this concept is an interesting one, I don’t think it really had the legs to stand on its own. 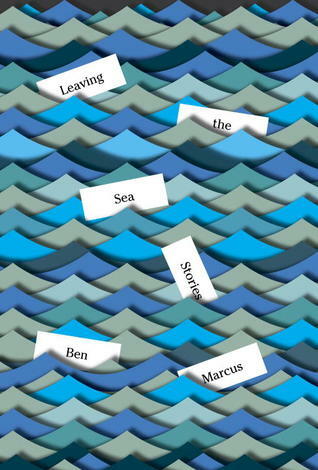 It felt like Churchwell needed an new, original perspective from which to write about the origins of The Great Gatsby, and this murder was something that hadn’t really been written before in connection to Fitzgerald’s writing. He probably was influenced by it, at least subconsciously, but I don’t think there’s a strong enough connection to base an entire book around. That said, I really loved this book. Careless People is a book about the invention of The Great Gatsby, and the murder angle is a relatively small part of it. Churchwell’s research is impeccable; she dives deep into newspaper articles and clippings, correspondence, diaries, and numerous other sources. Gatsby is one of my favorite books, and it was fascinating to read about how it came to be. Churchwell took an interesting approach in the formatting of this book. She moves chronologically through the fall and winter of 1922, examining the Fitzgeralds’ lives and what was going on at the time; she makes intriguing connections between the culture of the time and The Great Gatsby. She also moves through Gatsby, chapter by chapter, analyzing the text and how it was influenced by current events. In the third section of each chapter, she progresses through the murder investigation and trial, discussing how it impacted culture and how it may have influenced Fitzgerald’s writing. Although Careless People‘s founding premise is a bit weak, it is a stunning portrait of jazz age New York, an engaging look at the glamorous, tragic lives of Scott and Zelda Fitzgerald, and a compelling biography of a book frequently hailed The Great American Novel.